Thank you for making BRAWL @ RIT a success! We would like to take this opportunity to thank everyone for making last night such a success! We raised $800 to share between REAL and CWaG’s Luminaries fund! Thank you to RIT and CWaG, all of our amazing wrestler and their entourages, our volunteers, DJ, and all attendees and fans for supporting the amazing work that these two organizations do. And congratulations to our champion, Buckeye, on her second consecutive victory and Incognegro for raising the most money! Stay tuned for more from BRAWL, and for now, tell your friends, family and a stranger about how much you love BRAWL! After parking in Lot D, head towards campus, keeping to the right of the sports building until you see a giant metal sculpture. The SAU (Student Alumni Union) doors are right behind the sculpture. 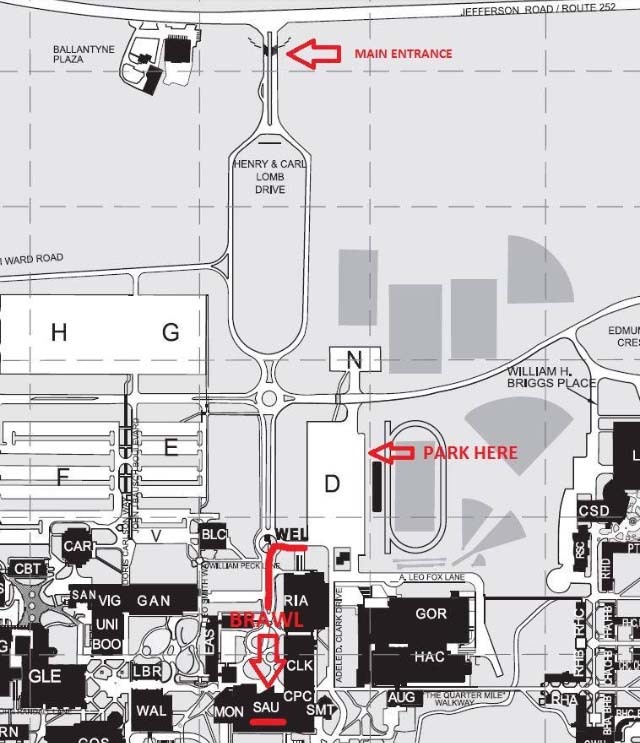 When you enter the building, go down the stairs next to the Ben and Jerry’s and turn left. The RITz is located right behind the stairs. Thinking about wrestling on October 19th? Check out how much fun we have and join in! Thanks so much to everyone who participated in the last event. 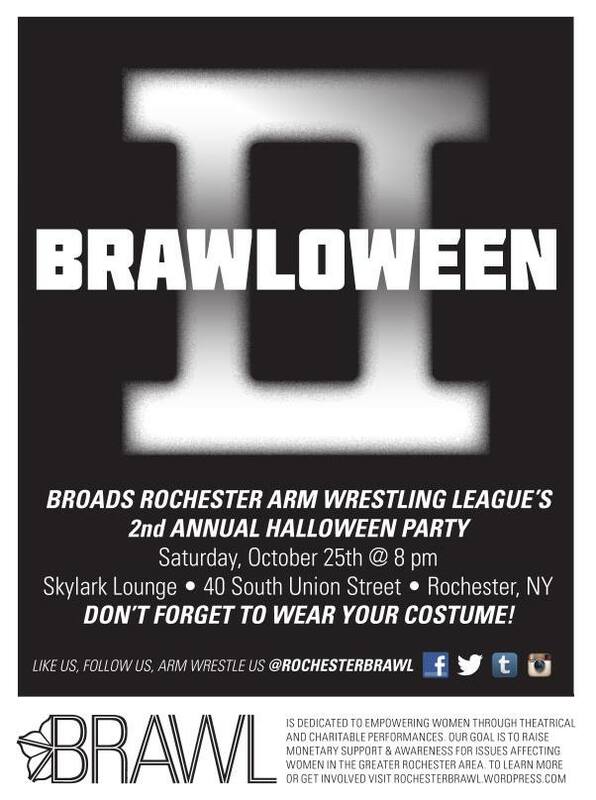 The SnowBRAWL–BRAWL’s 1 year anniversary party & prom at Skylark Lounge–raised $1,200 for Alternatives for Battered Women in Rochester. We crowned Erin Go Bra our 2 time champion, and Professor of Pain was rewarded with a Most Money Raised custom BRAWL Shakeweight trophy. Photos courtesy of Democrat and Chronicle photographer Lauren Petracca.